You have to admire Joseph Kabila’s cheek, if nothing else. On Saturday, at his first press conference in seven years, the long-serving president of the Democratic Republic of Congo said: “We have to have elections as scheduled.” But they were scheduled for December of 2016. Kabila had been in office for fourteen years by then, but somehow he had forgotten that you need an up-to-date voters’ list before you can hold an election. So he generously offered to stay in office as president for another year while this was done, even though he was not allowed to run for a third term as president. The various opposition parties and the Catholic Church, which has immense influence in the DRC, were not greatly pleased by that. However, they reluctantly agreed to go along with it and the election was rescheduled for December 2017 – last month. As it became clear that the deadline would not be met the demonstrations and protests multiplied, and the ‘security forces’ grew more repressive: a recent UN report found that state agents had carried out 1,176 killings in 2017. And late last year Kabila declared that the elections would have to be postponed again, to December 2018. “Kabila does not have any intention to leave power,” said Felix Tshisekedi, a prominent opposition leader, after the latest postponement. 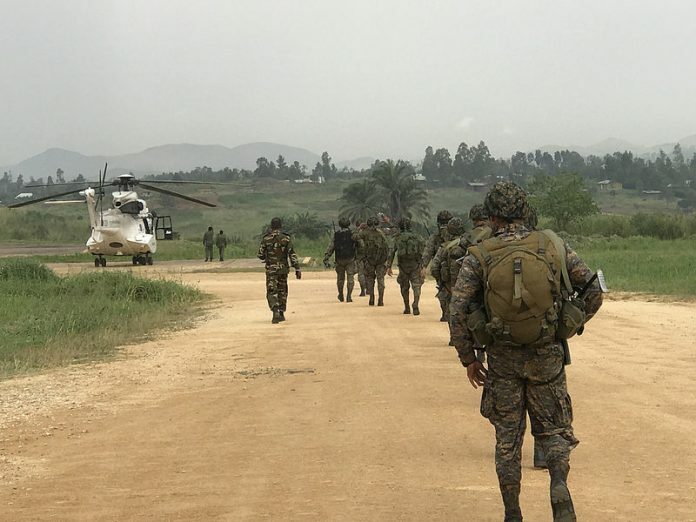 “His strategy is to spread chaos across the country and then delay elections because he’ll claim there is too much violence.” The violence is certainly increasing, and there is a serious risk that Congo is sliding back towards civil war, but it’s too simple to blame it all on Kabila. Joseph Kabila came to power when his father Laurent-Desire Kabila, a warlord who had emerged victorious in the first civil war in 1997, was assassinated in 2001. He was only 29 at the time (although his father had already made him army chief of staff), and he had no political following of his own. He has subsequently become very rich, but he is still not a powerful figure in his own right. He was put in office by the security forces, now dominated by the men who led his father’s rebel army, and he remains largely a figurehead while they make the real decisions. The problem is that they can’t decide who should replace him. Nor is there much doubt that Kabila would have won if there had been an election last year or the year before. It’s the regime’s own people who are slowly compiling the voters’ lists, and the choices they make will doubtless guarantee a victory for the regime. The situation is drifting towards chaos because the various factions within the security forces cannot agree whether to keep Kabila in power or switch to another figurehead. It’s all about who has access to resources (for which read money) within the regime, but meanwhile 81 million Congolese are being dragged towards another civil war. The last one, in 1998-2003, killed at least 5 million Congolese, mostly from hunger and disease. They do not need another. There is already heavy fighting between militia groups and the army in the east and south-east, with the majority of the casualties, as usual, being civilians. It would be comforting to believe that an election could stop all this, but it can’t. What is required is a strong and reasonably honest government that can reassert control over this huge country, the poorest in the world. It is sheer fantasy to imagine that a country bigger than all of western Europe, but with less in the way of all-weather roads than tiny Luxembourg and a per capita income of about a dollar a day, can be saved by a free election. Communications are so poor that there is no genuine ‘public opinion’, and beyond Kinshasa, the capital, almost all political loyalties are tribal. Democracy is important, and for most African countries – for most countries anywhere – it is the best solution. But the Congo is too big, too poor and too ethnically fragmented for that to work yet. Elections are symbolically important because they embody the principles of popular sovereignty and the rule of law, but everybody who might actually get elected belongs to a small privileged elite. A relatively small part of that group, the ‘security elite’, have actually been running everything since the turn of the century, and the first order of business must be for them to make a deal on who their candidate will be at the next election. Whoever that is will certainly win, and it hardly matters whether it is Kabila or somebody else. Those behind the scenes will still pull the strings. But until they reach an agreement about the regime’s candidate, the country will continue to drift, and it is drifting into dangerous waters. Is Musharraf missing the point?